From scooters to hitchhiking to flying, Clark Hurst made it for the Rose Bowl. The Rose Bowl remains one of the most special, if not the most special, bowl game in all of college football. It’s even more important in that this year’s Rose Bowl is one of the semifinal games for the National Championship. 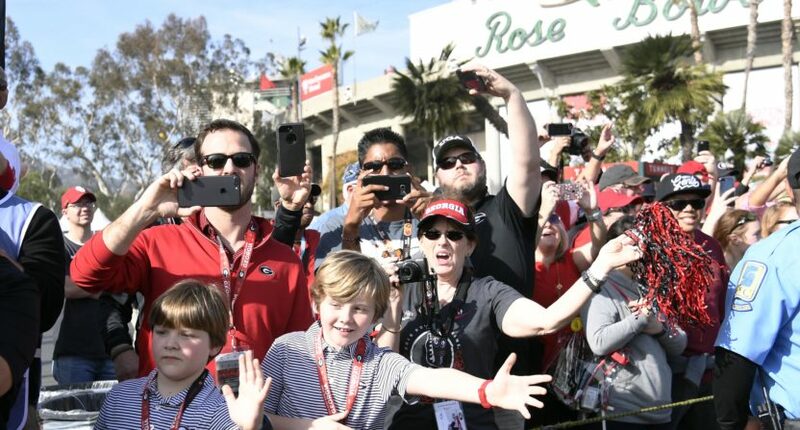 This is Georgia’s first Rose Bowl appearance since 1943 and with a championship final spot on the line, this is a can’t miss for any Bulldogs fan. One person, Clark Hurst went in such an unorthodox way that you have to both respect the man and think he’s crazy to do this. Hurst had an idea to travel from Athens, Georgia to Pasadena, California (approximately 2,300 miles) on a scooter. You know, like what they did on Dumb and Dumber. Unlike in Dumb and Dumber, where they traded in their van for the scooter, this guy started the journey on his scooter. Sadly, the scooter didn’t withstand the trek and broke down in New Mexico so Hurst had to improvise. After hitchhiking (never a good idea) his way to Tucson, Arizona, a fellow Georgia fan offered to pay for a plane ticket to go from Tucson to LA (a way better idea). So while Hurst didn’t get to make it to Pasadena on his scooter, at least he made it there safe and sound and ready to cheer on his beloved Bulldogs. At least if Georgia loses, Clark Hurst will have a memorable story of how he got there. If they win, he won’t need to go too far since the National Championship Game will be in Atlanta.